According to a survey conducted last year there has been a huge increase in the number of people identifying as vegans in the UK. The survey showed that the UK now has over 3 and a half MILLION vegans and this number is sure to keep growing. 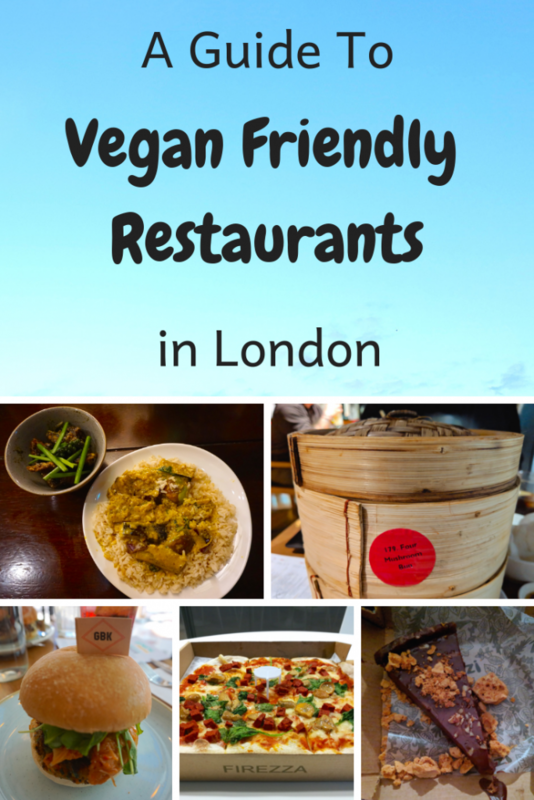 With the increase in vegans the whole of the UK is seeing more vegan cafes and restaurants popping up with London home to many of them. It’s great that vegans are being given a wider of choice of places to eat but what happens when a vegan and a meat eater want to go out to dinner? In the past vegans were forced to order just a side of fries while their friends and family feasted on a variety of meat and vegetarian dishes. The good news for vegans is that many meat centred restaurants are embracing the new change in diet and are starting to offer plant based alternatives. Some may only offer a single vegan option but many are giving vegans a wider selection to chose from. 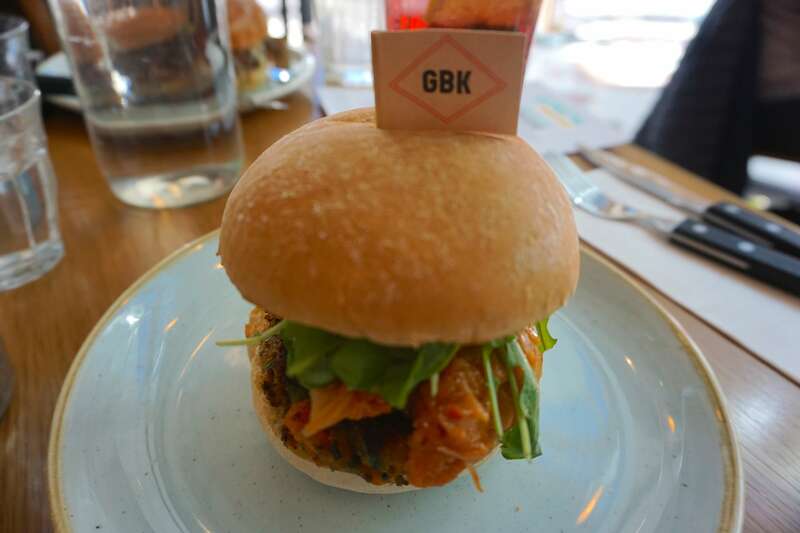 GBK or Gourmet Burger Kitchen was started by 3 kiwi guys including world-renowned chef Peter Gordon. They pride themselves on handcrafting their burgers from the finest ingredients and now have 4 delicious vegan burgers on their menu. They have classic bean patty burgers, a falafel burger and even a butternut squash & quinoa patty burger with Korean pulled jackfruit. 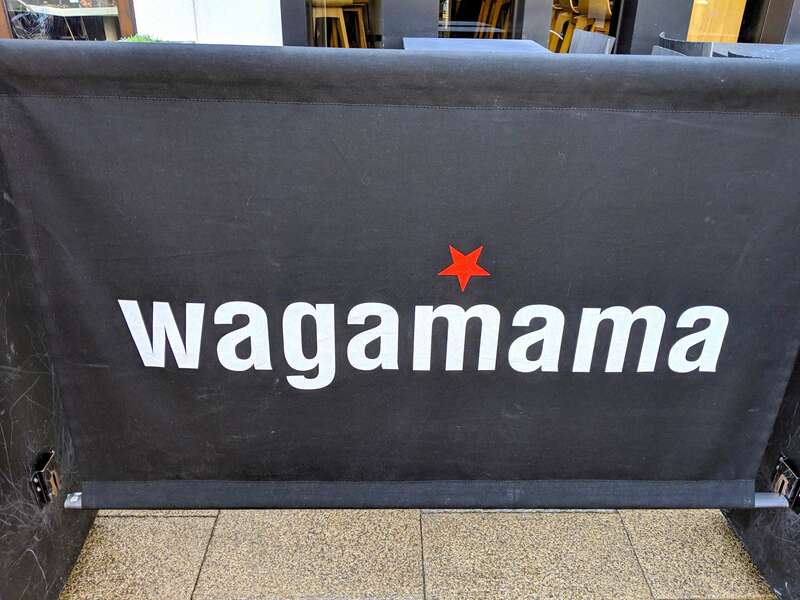 Wagamama is a British chain restaurant that offers Asian cuisine inspired by the flavours of Japan. It’s been a favourite restaurant of mine for many years so I was really please that they offer vegan options. It’s not just one or two vegan options, they have a whole vegan menu! 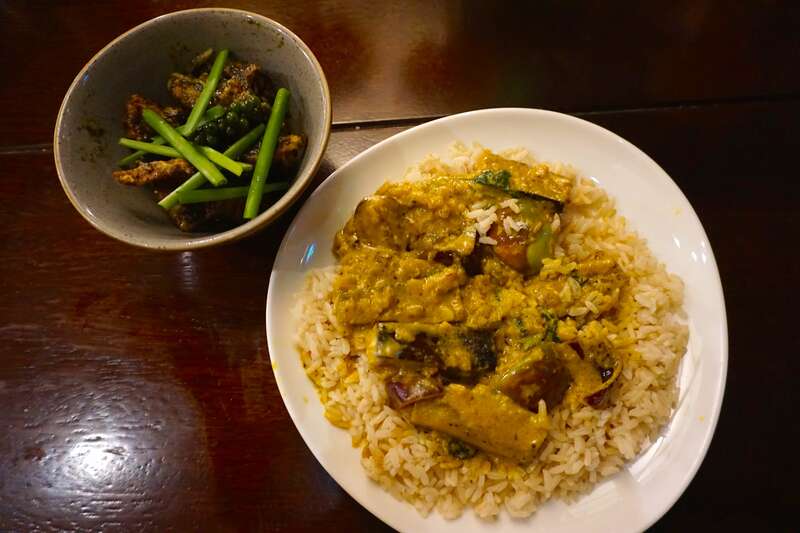 Diners can have vegan goyzas, rice dishes, noodle dishes and even their famous katsu curry has a vegan alternative made with seitan. 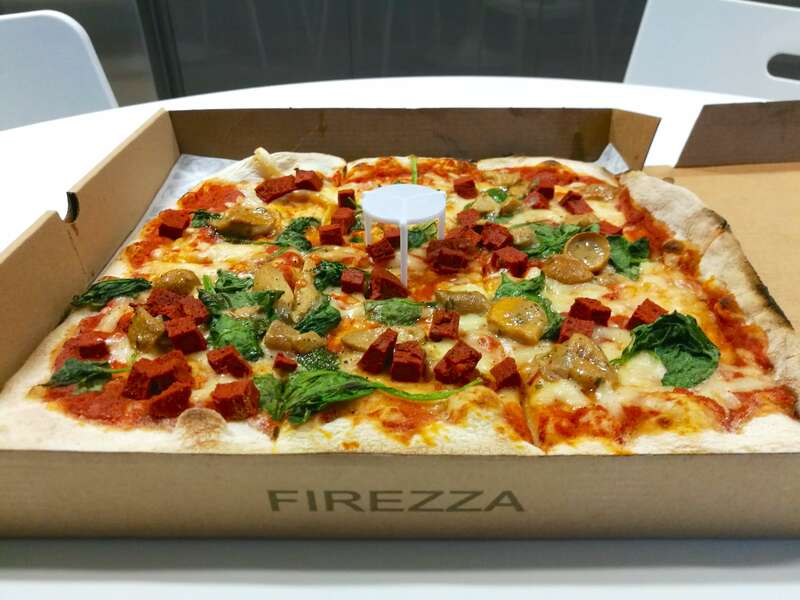 Firezza believe that the best kind of pizza is one that’s made for sharing and that’s why they serve pizza by the metre. Their pizza is made the true Neapolitan way and only using the freshest ingredients. Firezza is a great pizza place for vegans because they actually offer vegan cheese and at no extra charge. They have a couple of predesigned vegan pizzas you can choose from or you can create your own. As well as having plenty of vegetable toppings they also have vegan chorizo which has a nice little kick to it. Yen Burger offers an eastern influence on a British classic serving premium Asian influenced burgers. Along side their tasty burgers they also offer Asian inspired cocktails from the cherry blossom covered bar. 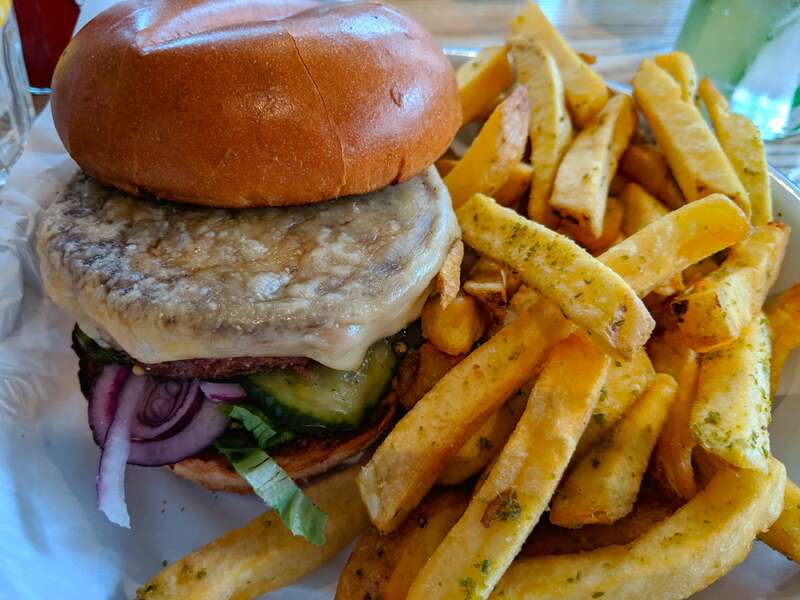 While none of their burgers are vegan, the two veggie burgers can easily be made vegan plus they offer plenty of sides that are vegan friendly including vegetable gyozas. On top of that, they have the most incredible sweet chilli and lime sauce that may become a new obsession of mine! 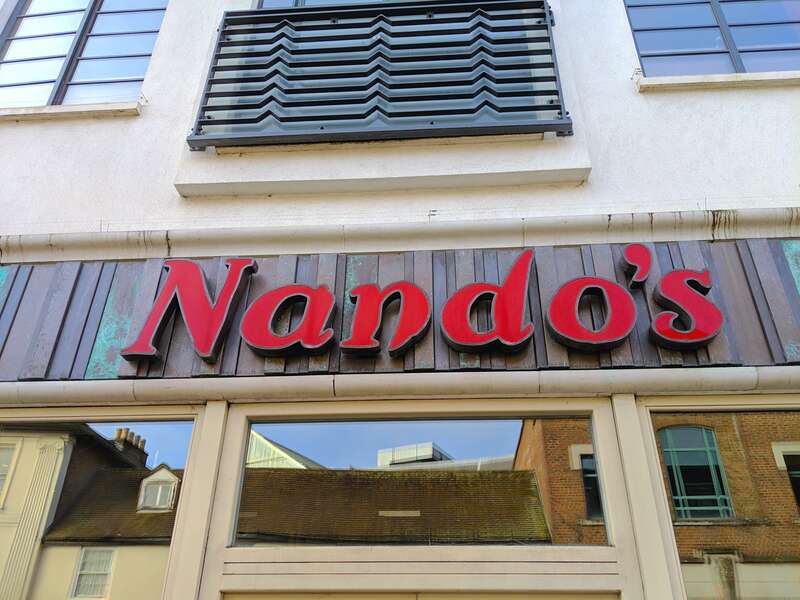 Originating in South Africa and serving Portuguese style chicken, you might not expect Nandos to offer vegan options but they actually have several dishes that can be made vegan. The hummus with peri peri drizzle is insanely delicious. The Supergreen burger and the sweet potato and butternut burger can be made vegan by asking for it with no mayonnaise. The fries and sweet potato mash are vegan and even the garlic bread is vegan so you have plenty of options. Dishoom is a popular Indian restaurant styled by the Irani cafes that were once popular in Bombay. They offer a full vegan menu which includes breakfast items, small plates, main plates, side dishes and dessert. Their breakfast menu even includes vegan sausages and vegan black pudding! Busaba is a Thai restaurant focusing on modern Bangkok eating. Just like in Thailand, the dishes are made to share and created from fresh, flavoursome ingredients. They have a variety of vegan dishes available including their Thai Soyamari, vegan calamari. Honest Burger pride themselves on creating freshly made burgers while supporting the local community. Every restaurant serves beer from a nearby brewery and many of the restaurants use ingredients from local food heroes. While Honest Burger may not have an extensive vegan option they do have the infamous Beyond Meat burger. 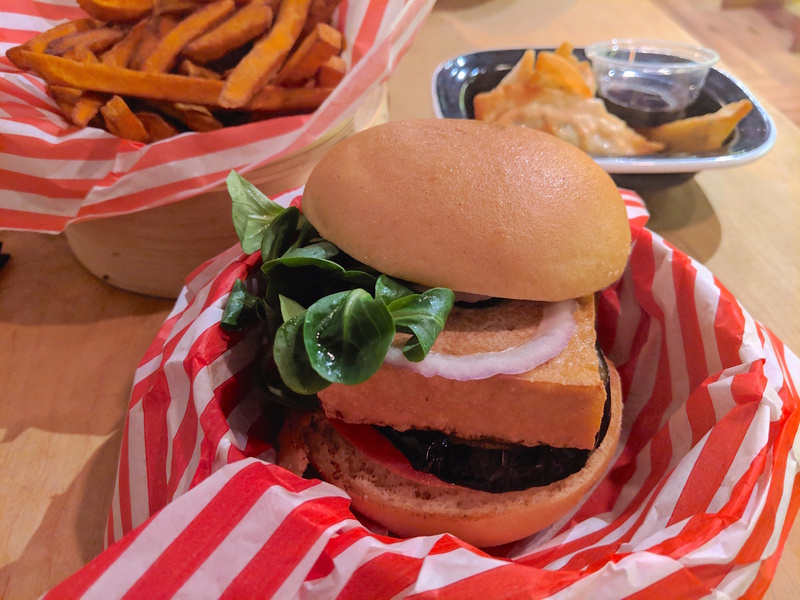 A plant based burger patty that was making the headlines in America for looking, cooking and tasting like a meat burger and is now (finally) here in the UK. Ping Pong offer hand made dim sum and carefully created cocktails in the heart of London. They say they are China, the Ping Pong way. 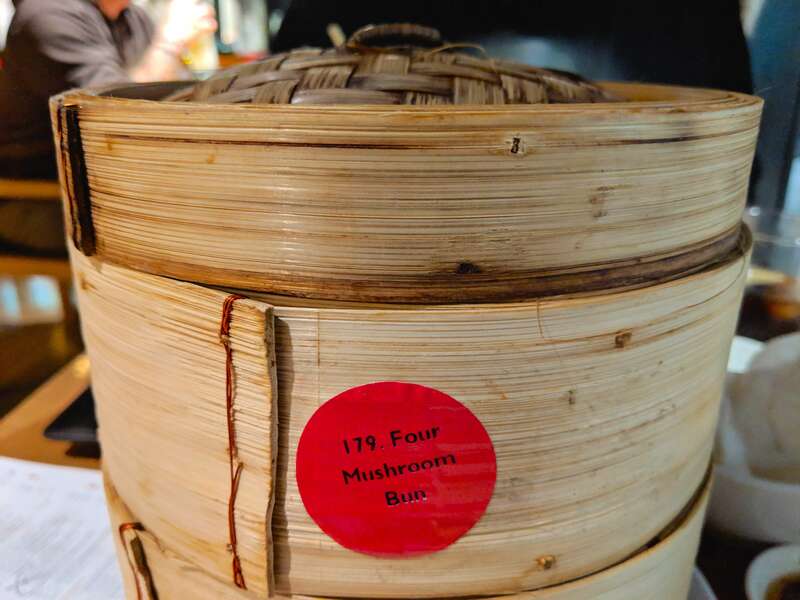 Their authentic Chinese dumplings, buns and baos are delicately hand made and steamed to perfection. 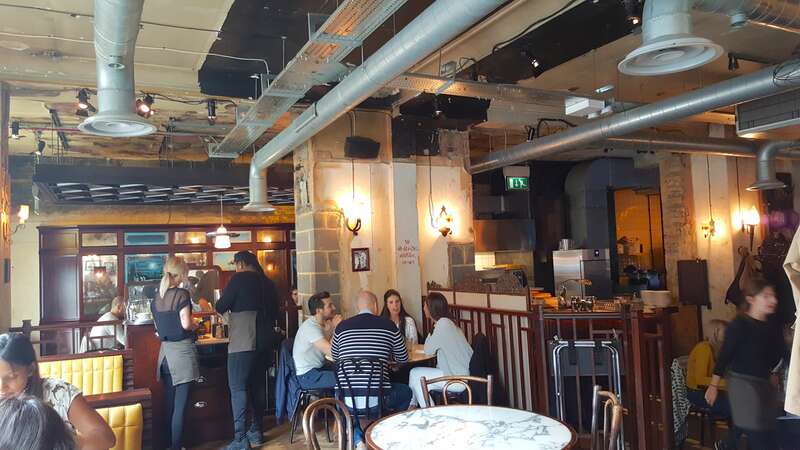 Ping Pong offer a decent amount of vegan options including a couple of spring rolls, mushroom buns, aubergine baos, a few rice dishes and a selection of dumplings. The spinach and mushroom dumplings were my favourite! Zizzi is a popular Italian restaurant with over 140 restaurants across the UK and Ireland. They want their customers to enjoy delicious Italian inspired food in an environment designed with individual touches of the local area. They’ve been working hard to increase their allergen menu so vegans have a lot more choice. 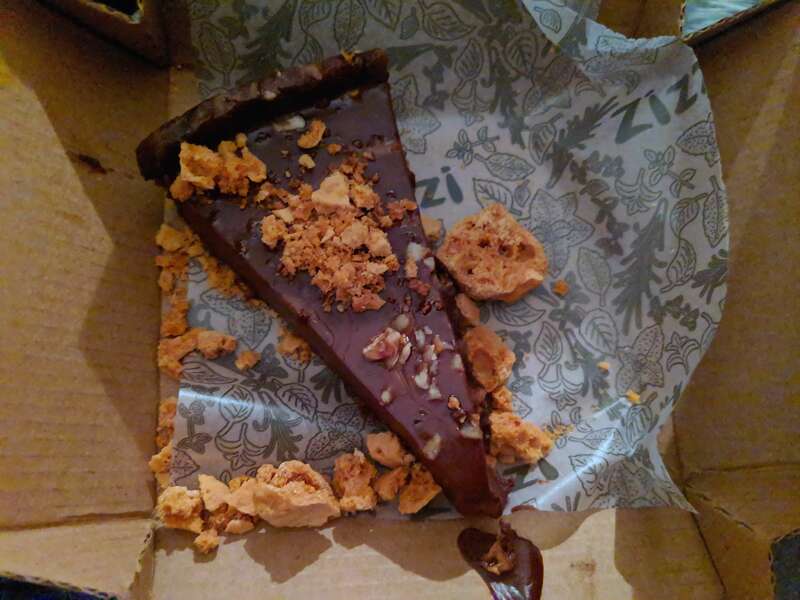 The best thing about Zizzi is their vegan cheese tastes so much better than other vegan cheeses! Plus they have a vegan dessert for the chocoholics, their sticky chocolate and praline tart. 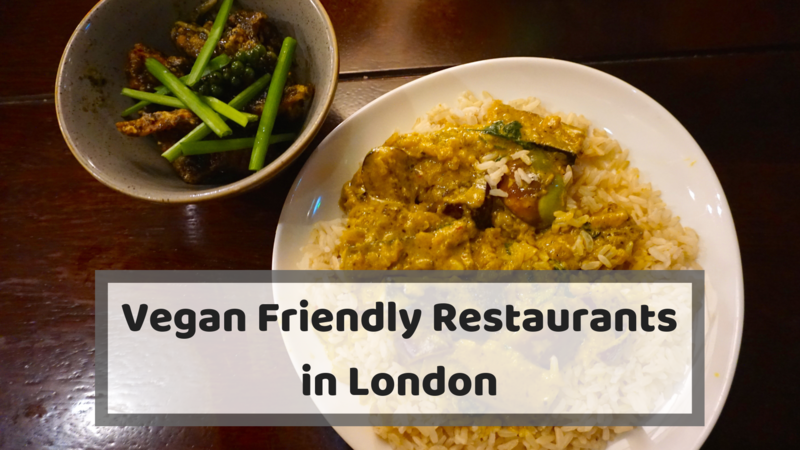 Vegans in London May Also Like…. I love that more and more restaurants are adding vegan and plant friendly options to their menus! I’m not vegan, but have been definitely switched in the past year to eating more vegetarian and plant based foods. Great to see the variety out there and can’t wait to try more of them! I really enjoyed the vegan options at Dishoom and Busaba, packed full of flavour! Agree, I’m loving how vegan and plant based meals are becoming more popular. It’s nice to have a variety when eating out. And yes Dishoom and Busaba have some delicious vegan dishes!